Replacing your roof is a major investment that requires careful research, budgeting, and consideration. Before you commit to a metal roof replacement, it is important to understand the advantages and disadvantages of this unique roofing type. 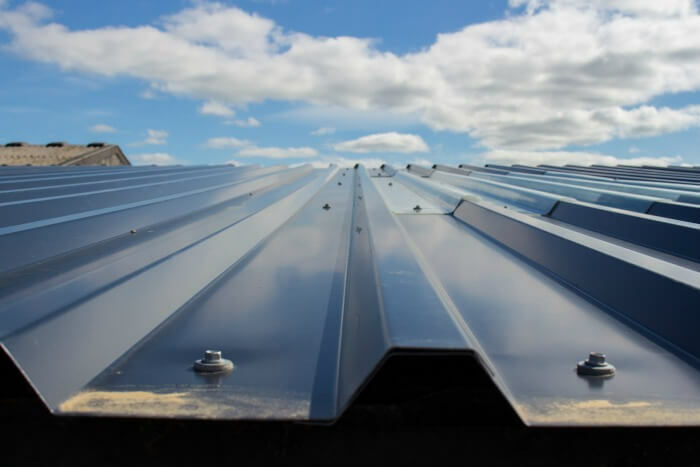 Metal roofing materials can be three times as expensive as other traditional roofing types— like asphalt, wood, foam, or rubber. The cost of metal roofing materials can range from $7to $9 per square foot. While foam, for example, can cost as low as $1.65 to $2.50 per square foot. Metal roofs are an expensive investment for homeowners. If you assume your roof is 2,500 square feet, you can see a simple cost comparison. *This price does not include labor or installation. Aluminum roofs help keep rain and snow from collecting, weather can still cause problems. Without attic space or proper substrate, noisy outdoor elements (like wind, rain, and branches) can be heard within a home. Heavy objects, like big branches or hail, can also dent a metal roof. A storm-dented roof carries the risk of moisture buildup, which can cause rust and leaking. Because of the price of supplies, replacing a metal panel is costlier than other roofing materials. If you are sensitive to noise, consider a less expensive, quieter roof material. Rubber shingles are resistant to rotting, cracking, mold, and discoloration. Rubber is also resistant to denting and moisture-absorption, but at a much lower cost (as low as $3 per square foot). Learn more about the most popular roofing types, and plan your roof replacement. 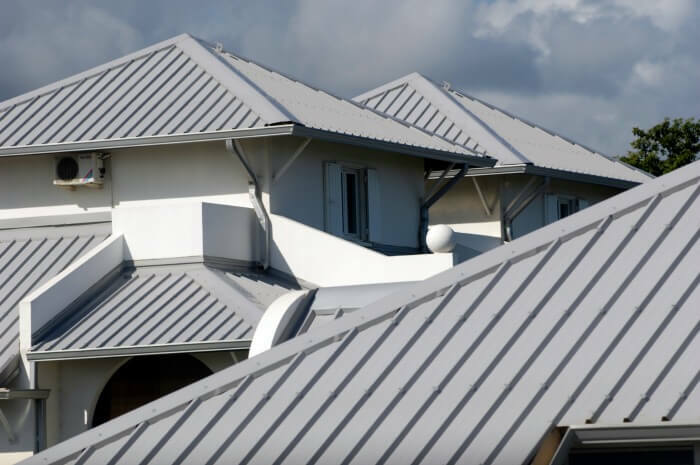 A metal roof will serve your home for many years, but there are other roofing alternatives that are also dependable for decades. Concrete or cement tiles will last 50 years or more. Clay tiles have a life expectancy of 100 years and are very cost effective. Slate is very expensive and is often referred to as a “lifetime” roof. Slate has a life expectancy of more than 150 years and helps with the resale value of a home. Ready to take the next step toward your roof replacement project? We can help. Receive up to four quotes from local, reliable roofing contractors to begin your home improvement project.